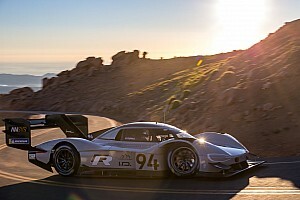 Volkswagen Motorsport director Sven Smeets has confirmed the Pikes Peak record-smashing I.D. 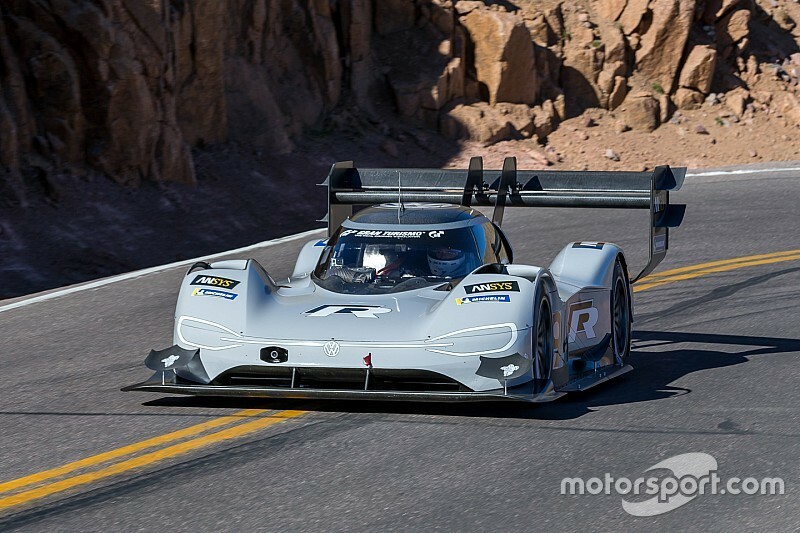 R could be developed for new projects next season – but the car won't be going back to Colorado to defend its title. Romain Dumas drove the I.D. R to a sensational Pikes Peak record, blitzing Sebastien Loeb's previous best of 8m13.878s with a 7m57.148s run through the 156-corner 12.42-mile course. Volkswagen will now stay away from America's Mountain, but keep a watchful eye over its record. 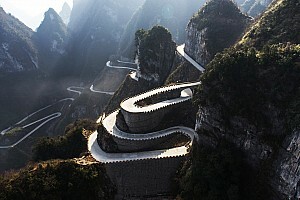 Smeets told Motorsport.com: "It is decided we will not go back to Pikes Peak. "We have the record, so now it's up to somebody to take it away. We are very, very proud of this record, so as soon as somebody challenges [it] and maybe takes it away, you can be sure that I think we would have support around here to go and take it back." The two I.D. Rs built – one race car and one test car – are currently busy on world tours taking them around Europe, North America and Asia. Back at Volkswagen Motorsport's Hannover headquarters, plans are being made to improve the car. "I think you know that F-X [Francois-Xavier Demaison, Volkswagen technical director] knows there is more to come out of the car," said Smeets. "And even if there wasn't, he's an engineer, so he would want to make some changes! "We are working on a few possible programmes that we could do with this car and I think very soon we can fix them. We are in the final stages of a decision yes or no, but it looks like we will do something similar next year." Volkswagen Motorsport made no secret of the fact the Pikes Peak programme was a testbed for a potential e-WRX entry in 2020. Smeets said continuing the I.D. R development would keep the firm at the forefront for a potential e-WRX entry in 2021. "We want to continue in this new technology," he said. "There is such a rapid evolution in terms of electric motors. If we do go ahead with the projects then we will develop them further and yes, of course, [this would help with e-WRX] and let's say any other [electric] series coming."